Marvel‘s Guardians Of The Galaxy has not even been released, but the studio behind the biggest films of the last decade has just confirmed plans for a sequel. 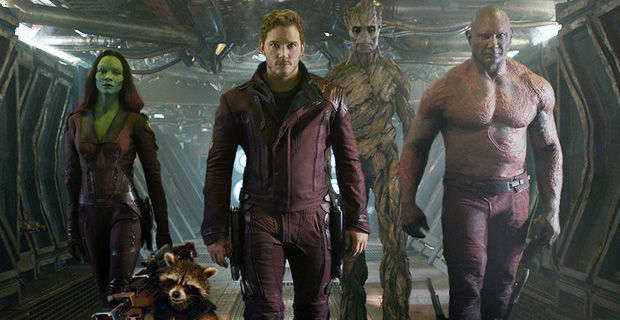 Guardians Of The Galaxy 2 will arrive in theaters on July 28, 2017. The film will be written and directed by James Gunn, the same man behind the film hitting US theaters on August 1, with Chris Pratt set to reprise his lead role as Star Lord. We presume the rest of the Guardians cast will return as well. San Diego Comic-Con International has been a dominating force in our headlines today, and just a few moments ago the fine folks at Marvel ended their annual Hall H panel. The entire Avengers cast was on hand, and from what we read online it seems footage from Age Of Ultron was shown to the crowd. We doubt any of that material will surface on the blogosphere any time soon, but if it does you can rest assured we’ll post it as fast as we are able. Follow UTG on Twitter for updates.